National Competition Heads To Randal Tyson For Razorback Invtl. FAYETTEVILLE, Ark. – The No. 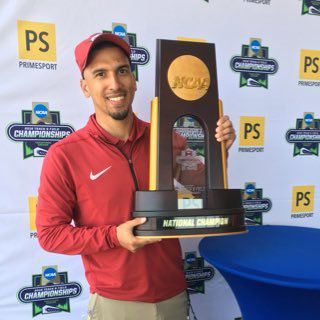 12 Arkansas men’s track & field team will get a good preview of the NCAA indoor championships this weekend at home, competing against nationally-ranked powers from around the country Jan. 25-26 at the Razorback Invitational. The talent-loaded meet will see the Hogs face off against SEC foes No. 2 Florida, No. 8 LSU, Kentucky, and Mississippi State as well as out of conference competitors No. 17 Oregon, Iowa State, Kansas State, Oklahoma State, and Purdue. The Razorback Invitational will be broadcast LIVE by the SEC network for the fourth consecutive year. The two-day event will kick off on Friday, Jan. 25 at 12:25 p.m. CT with the pentathlon 60-meter hurdles. Friday evening’s prime time events scheduled for 6 p.m. will get underway with the women’s distance medley relay and will be available for streaming on SEC network plus. Saturday’s live television window on the SEC network will begin at 1:03 p.m. CT with the women’s 400-meter invitational. A list of the meets entries can be found here or by visiting our Meet Info page here. Season tickets are available online, contacting the Razorback Athletics Ticket Center at 800-982-HOGS, or visiting in person. The Ticket Center is located just east of Baum Stadium at 1295 S. Razorback Road in Fayetteville.